As thousands of new social media users log on every week, the numbers relating to the flow of information becomes ever more staggering. 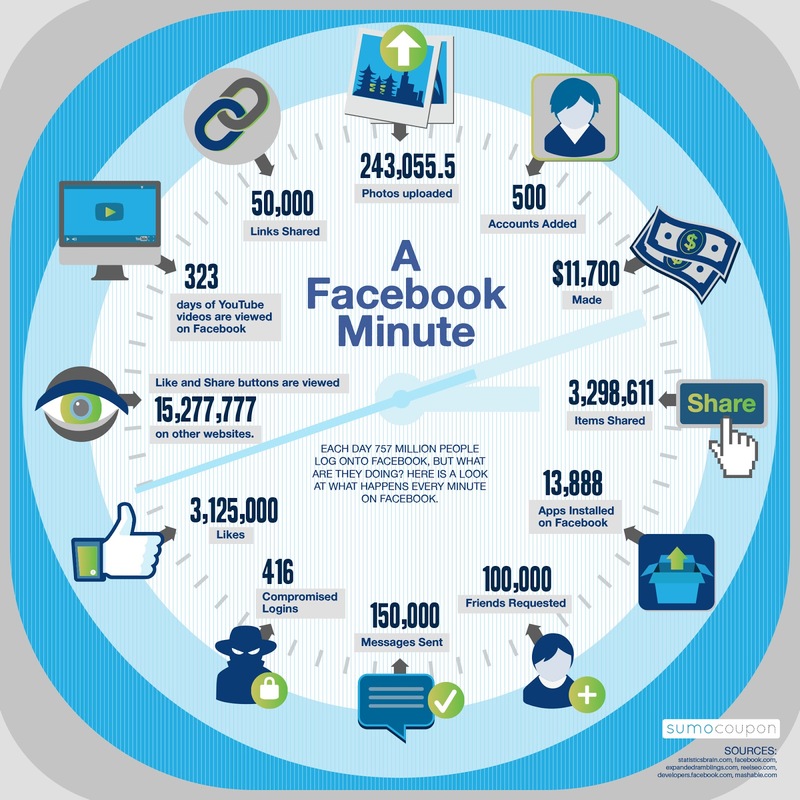 An infographic from SumoCoupon illustrating just how much data is generated in 60 seconds on Facebook. 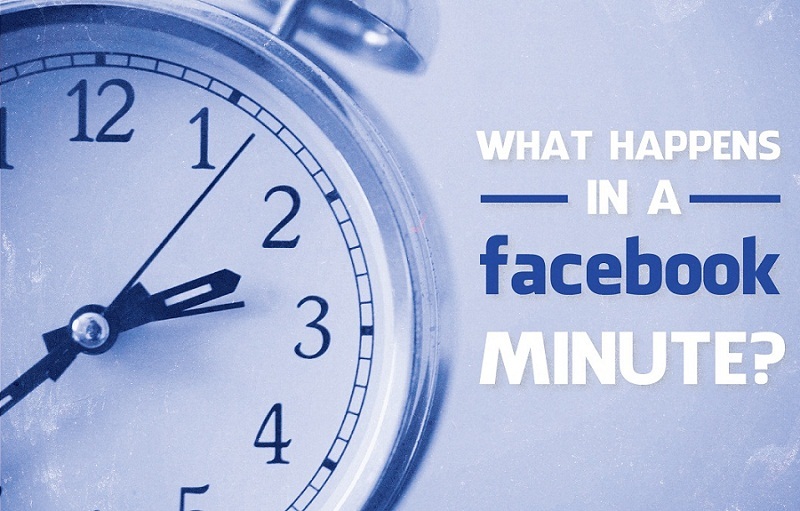 In one minute of Facebook, +243,055 photos uploaded by users, 100,000 friends requested, 13,888 apps installed, 3,298,611 items shared, 50,000 links posted and 15,277,777 like and share buttons are viewed on other websites.